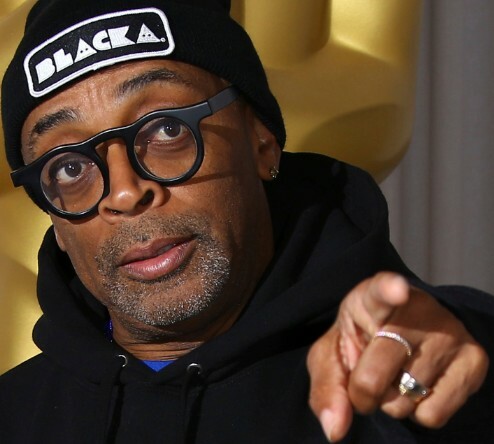 Movie director Spike Lee says he will not wear Gucci or Prada clothing until the brands hire black designers. Lee went online to say after "blackface" fashion fails from the Italian fashion houses: "It's Obvious To Da Peoples That They Don't Have A Clue When It Comes To Racist, Blackface Hateful Imagery." The African-American's boycott comes after the labels suffered backlashes for designs evoking racist images. Lee wore Gucci on the Venice Film Festival red carpet in September and went to a Prada show in Milan later in the month in a black Prada suit. Gucci has apologized for a black wool sweater that featured bright red lips when pulled over the face. And Prada said sorry for a monkey bag charm resembling blackface in December. Both have withdrawn the offending pieces from sale. In doing so Prada said it "abhors all forms of racism," while it was "a powerful learning moment for the Gucci team." Blackface images resonate in the United States just now with the governor of Virginia and his attorney general mired in a scandal over blackface incidents from college days.